The search for a new health care provider most often begins online. This makes Search Engine Optimization (SEO) of a health center website vital for becoming patients’ first choice in medical care. Attaining maximum visibility by topping the list of search results is a first and crucial step toward contact with patients online and in-person. Make your medical practice stand out from the crowd. 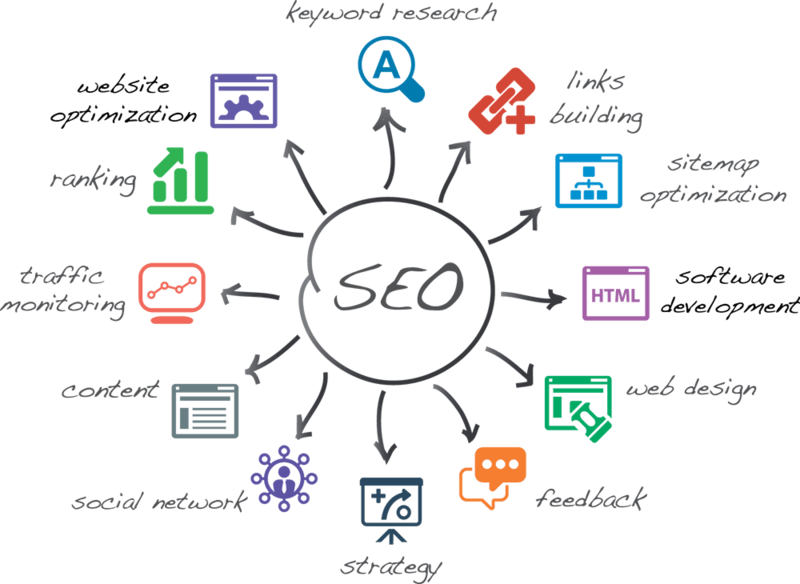 Professional SEO services provide the greatest level of visibility available through the latest SEO strategies and online market research. Through better website performance, your health care team gains increased internet exposure. An optimized website ensures existing and potential patients alike find the full spectrum of news, videos, information, and images available online for your healthcare practice. SEO brings all online content related to your medical practice to the forefront of search results, helping patients find their way from the web to your waiting room. Search Engine Optimization is an ever-evolving field. If your site is not regularly optimized using the latest technology, your practice can fall behind. An inside understanding of essential keywords and methodologies provides the greatest possibility to direct all potential patients in your geographic area toward your homepage. Professional Search Engine Optimization ensures any and every web search of your medical practice generates the most complete results including diverse content from across the web. No matter where they begin their online search for knowledgeable professionals, trustworthy recommendations, and outstanding physicians, patients will find your website as a top result through the use of SEO. Optimization makes your website work as hard as you do to provide a rich online representation of your healthcare practice and services. The robust online presence created by SEO provides both new and returning patients a deepened sense of assurance regarding the quality and services provided by your practice. A properly optimized website ensures that any and every news story, video, or recommendation related to your medical practice will appear together in the most favorable positions on popular search engine results. As experienced Search Engine Optimizers, Definitive Productions provides a full spectrum of the most up-to-date methods for making your medical practice the clear choice. Centered in Atlanta, Definitive Productions helps medical practitioners from the Southeast and across the country gain maximum exposure online. With Definitive SEO services, your practice becomes a top option in healthcare search results every time. Our team specializes in optimizing your online presence so your team can focus on patient care. We understand that your healthcare team leads the pack and so should your website.